Tata Daewoo started sales of 『2013 PRIMA & NOVUS Truck』 with marketability and quality improvement on Sept. 6th with a nationwide display tour. Tata Daewoo has a launching ceremony of 2 brands, Premium ‘Prima’ and Economic ‘Novus’, in Gunsan attended by around 200 main customers and employees on Sept. 5th. 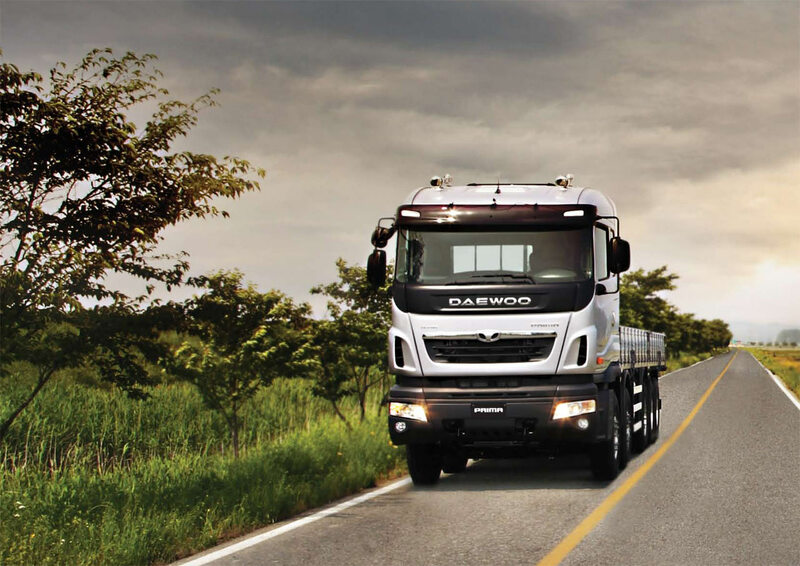 Dr. Jongshik KIM, CEO, Tata Daewoo, said that Prima truck boasts 560 horsepower, the maximum output verified in the market. Tata Daewoo applied electronic ‘4 bag chassis air suspension’ to improve performance of Prima truck, protecting goods in a cargo box and enhancing ride quality and durability. It increases brake performance to 30% as against existing drum brakes by applying ‘Disc Brake’ and improves charging performance by applying 230 amp high capacity battery(option) and 100 amp ‘alternator(basic)’ for electronic convenience devices and special purpose vehicles(SPV). Drivers can enjoy cool and fresh indoor environment by applying ventilation seat that a cold wind blows from a seat in the summertime and heat wire seat enables drivers to keep warm in winter. In addition, Tata Daewoo Prima applied ‘Eco-driving System’ for fuel efficiency, ‘Two-dot side mirror’ to secure wide view angle, ‘High-load spring(front/rear)’ for SPV, new colors and new graphic schemes. The instrumental panel received a new colorful LCD. Tata Daewoo Novus received minor exterior updates and now is called Novus SE. As before, it uses engines with output from 260 to 450 hp. There are no more tractors in the Novus range, now it includes only 2-, 3-, 4- and 5-axle chassis. I like the "boxy" look of the Novus, too bad though.